When it comes to fashion jewelry, crystal rhinestones are great for creating glitz and glamor. Rhinestone jewelry is beautifully glamorous, but costs a faction of the price tag of a diamond. With rhinestone jewelry, anyone can easily feel decked out for any occasion without spending a fortune. This page showcases a range of wonderful rhinestone jewelry. Here you will find fabulous rings and earrings, pendants and necklaces, pin and brooches – all of them created with rhinestones. Plenty for you to choose from to build up a substantial jewelry wardrobe, and all at easily affordable prices. 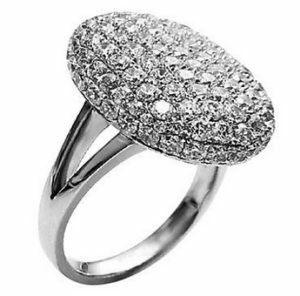 Rhinestones were first created to copy diamonds, indeed the first of these artificial stones were called diamante. The current trend in fashion is big and bold. Therefore, rhinestones have stepped center stage in fashion. Big clusters of stones for very little expense. You will also find the more classic designs featured here too. Scroll through to enjoy this selection of fabulous rhinestone jewelry available to buy online with the click of a button. Remember, to properly care for your rhinestone jewelry, put your jewelry on after your perfume, hair spray or other aerosols have completely dried. Also avoid water. Remove the jewelry before bathing or even washing your hands. When we travel, I don’t like to wear my real engagement ring simply because I would not want to have it stolen or to lose the diamond. Wearing a rhinestone ring in its place still allows me to indicate the commitment to my husband, but without the risk. We are often looking for fun party rings to wear on occasion. Either of the rings featured below would make a big impression with a small investment. They are great costume accessories. Stretch rings and funky 2-finger rings are pretty popular right now. Plus, I have also included a pretty cluster style dinner ring which would be ideal for that touch of sparkle on your hand. Note: I consider these rings to be “occasion” rings because I do not recommend you wear these rings 24/7. It is highly unlikely they would hold up to constant everyday wear. As a matter of fact, you will want to remove them before washing your hands. Here are two very popular styles in cuff bracelets. You’ll be right up to date with this great biker’s cuff or quite elegantly style with the rhinestone stretch bracelet. Because these types of bracelets tend to be rather trendy, rhinestones make the perfect gem to use. You can be in style without spending a lot of money. Rhinestones are frequently used for weddings, proms, formal dinners, and any number of special events. Presented in the right setting, they can be quite gorgeous! The set featured here includes the necklace and the earrings. They could be worn together or separately. Either way, they will make a stunning evening accessory. Brighten up any outfit with a sparkling rhinestone pin or brooch. There are lots of designs to choose from including funky animals and butterflies, flowers, and classic vintage brooches. 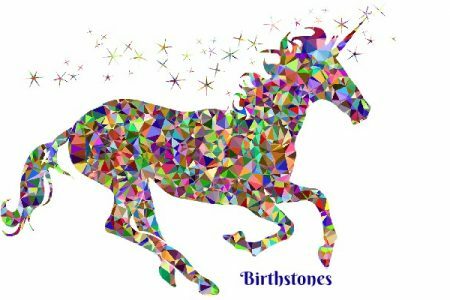 Rhinestone brooches do tend to take us back to yesteryear and remind us of our ancestors, but I love the fun creations that make me smile each time I see them. I personally own and wear several different rhinestone animal pins. Brooches and pins tend to endure for years since they are rarely exposed to any styling chemicals or water. They also make beautiful gifts! Hoop earrings are always in style. The size seems to be the trend that varies from year to year. Right now, these large hoop earrings are all the rage. Rhinestones really are the perfect stone to use in earrings. They shimmer and sparkle like diamonds glistening in our hair and framing our faces. Note: If you are planning to use hairspray or styling products in your hair, put your rhinestone earrings on after the hair products have dried. Let me explain that rhinestones were originally made from rock crystals from the Rhine river. Today, they are cut from quartz crystals, glass or acrylics. Because of their relation to crystal, they can be referred to as crystals or crystal rhinestones. They look like cubic zirconia but are actually different. Cubic zirconia is lab created from zirconium oxide. However, it is hard to tell the difference between rhinestones and cubic zirconia, especially when being worn. Most often, rhinestones are smaller stones used as accent stones or in clusters to create the larger affect. The important thing to remember with rhinestone jewelry is that it is not very durable. Over time light, body oils, etc will take their toll. Unlike gold and silver jewelry you must NOT use any solvents or water on rhinestone jewelry. Instead use a very soft cloth and a small amount of alcohol. You can see additional Rhinestone rings, necklaces, bracelets, brooches, jewelry sets, and earrings right here on Victoria Fredericks Jewelry Box. You may also be interested in a selection of rhinestone hair accessories. Simply click the highlighted word in this paragraph for the jewelry pieces you wish to explore.